Who Is Rolando Mandragora and What Role Will He Play for Juventus in the Future? 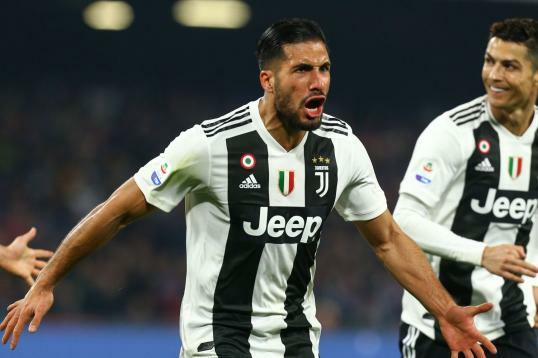 The January transfer window has been quiet for Juventus thus far, the Italian champions seemingly happy with their current squad and not appearing as if they will make any significant investment before the end of the month. Also revealing that the player has signed a five-year contract, the Bianconeri have allowed Mandragora to remain on loan at Pescara, continuing his stint with the Serie B outfit that began back in July. The acquisition continues Juve’s strategy of signing the best young native talent available, adding the left-footed 18-year-old to a list of gifted players that includes the likes of Stefano Sturaro, Domenico Berardi and Daniele Rugani among others. Beginning his career with AC Ponticelli, Mandragora joined the Genoa academy during the 2011/12 season, and it is somewhat fitting that he made his professional debut against Juventus, handed a surprise place in coach Gian Piero Gasperini’s starting XI in October 2014. The Grifone would steal all three points with a stoppage-time Luca Antonini winner, but it was his young team-mate’s performance that was most widely praised, as Mandragora completely neutralised Paul Pogba. As the graphic in the tweet below shows, the impressive youngster recorded five tackles, one interception and two clearances, also completing 13 of his 19 pass attempts (68 percent). 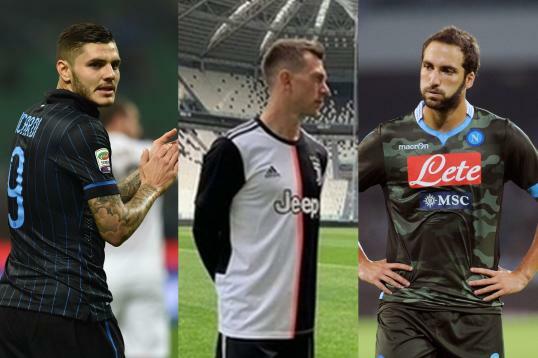 After that eye-catching display, however, the presence of Sturaro and Andrea Bertolacci limited the youngster to just four further appearances in 2014/15—two of which came as a substitute—meaning he managed a total of just 131 minutes on the field for Genoa. He was subsequently sent on the aforementioned loan to Pescara ahead of the current campaign, continuing to impress with a string of intelligent performances and drawing the attention of Europe’s biggest clubs. Back in October, Sky Italia (h/t Football Italia) reported that AS Roma and Chelsea were monitoring him, with the Bianconeri eventually winning out. Already showing a sound tactical understanding, Mandragora’s passing has steadily improved during his time with the Delfini, distributing the ball much more comfortably than before. It remains to be seen if he can transfer that to the top division—and he will need to improve his weaker right foot—but in Serie B, he is now an effective playmaker in the middle of the park. Clearly, he also enjoys the defensive side of the game, but he must work to improve his discipline, picking up no fewer than nine yellow cards in his 16 appearances this term. Interestingly, he gave a mature assessment of his own play in an interview with the Italian FA’s website. Looking to the future, he may find space difficult to come by in Turin, with the Juventus squad heavily laden with quality midfielders. As well as Claudio Marchisio, Sami Khedira, Paul Pogba, Kwadwo Asamoah and Sturaro, there is also Mario Lemina awaiting his chance to prove he belongs on such a stage. Yet Mandragora’s playing style and creativity give him something the latter pair lack, and that could give him a major advantage in the future.